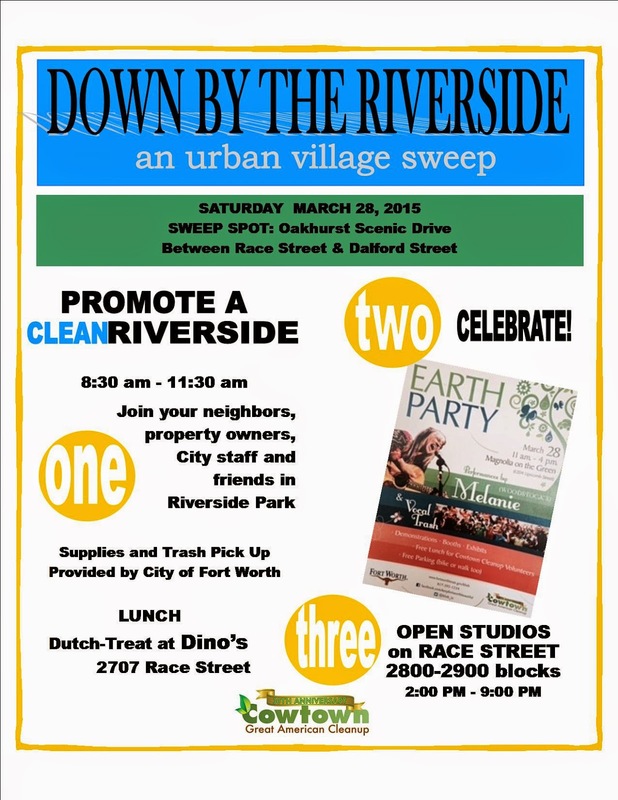 Saturday, March 28th is the Cowtown Great American Cleanup sponsored by the City of Fort Worth. This year, the neighborhoods in Riverside have decided to pool their resources and people-power for a cleanup that will benefit all of Riverside. “We always have a great turnout in individual neighborhoods for this event, but it makes sense to pool together in light of all the redevelopment and new development planned for the area. Cleaning the gateway to Riverside is a great place to start,” says Rick Herring, Moderator of The Riverside Alliance, sponsor of DOWN BY THE RIVERSIDE. Riddick has purchased property in Six Points Urban Village / Riverside Arts District that he hopes will soon be occupied by additional tenants who will draw residents and visitors to the area. He sees restaurants, coffee shops, retail, and urban residential mixed-use development as key to creating a vibrant and walkable urban village community. An improved streetscape is expected to be completed within the year that will include new lighting, street furniture, public art, and landscaping on Race Street. DOWN BY THE RIVERSIDE takes place between 8:30 am and 11:30 am followed by lunch (dutch-treat) at Dino’s, 2707 Race Street. Send a message to embracethestreet@gmail.com if you want to participate.